The Treviso Desk is a winner of the Design Guild Mark Award, an award for excellence in British Furniture Design. Matthew Hilton has been intimately associated with the revival of exciting British Furniture Design in recent years. 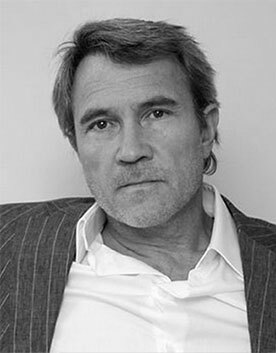 Born in Hastings in 1957, he attended Portsmouth College of Art and then Kingston Polytechnic, from where he graduated with a degree in Furniture Design in 1979. During the early 80s, Matthew worked as an industrial designer for the product design company Capa in London, before setting up the Matthew Hilton Design Studio in 1985 to work with a number of renowned manufacturers and retailers – most recently including ercol. Matthew was awarded Designer of the Year at The British Design Awards 2008.